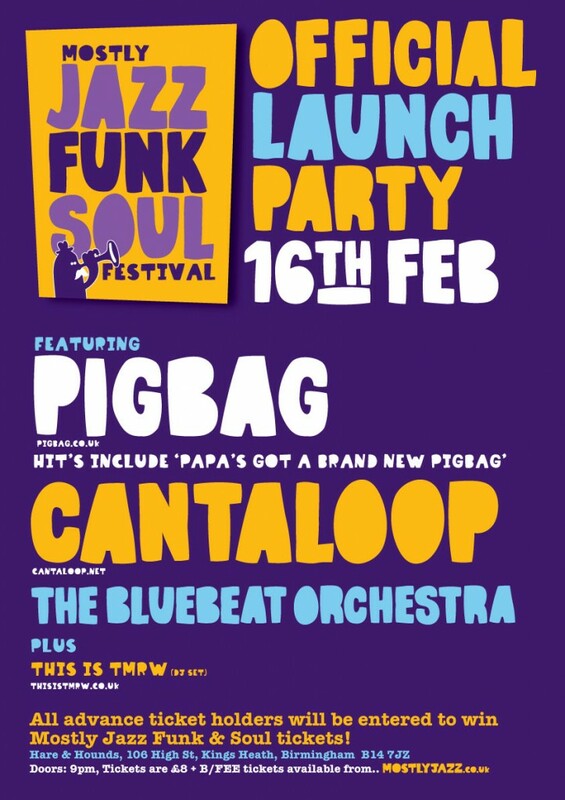 Just a quick reminder that Pigbag will be playing two gigs in the next month. 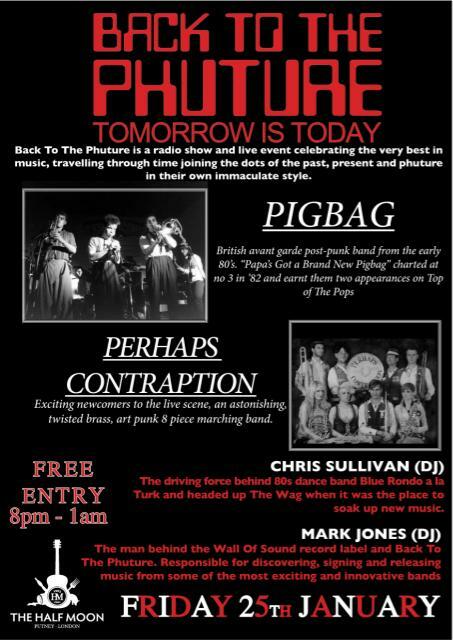 First up is the “Back to the Phuture” gig at The Half Moon in Putney on Friday 25th January. The gig is free entry, but as the venue has a capacity of 200, it’s advisable to reserve a space (reservation costs 50p). Support is from Perhaps Contraption with Mark Jones (head honcho at Wall of Sound) Chris Sullivan (Blue Rondo A La Turk) doing a DJ set. Next up is the band’s appearance at the Mostly Jazz festival launch party at the Hare & Hounds in Birmingham on Saturday 16th February. Details are on the flyer above, and tickets (£8+booking fee) can be had from MostlyJazz.co.uk. There’s a chance to win tickets to the Mostly Jazz festival if you buy tickets in advance. 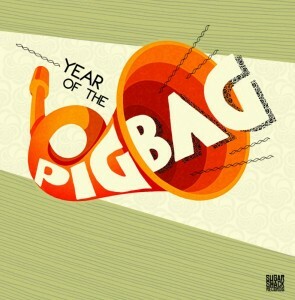 Pigbag have announced details of their new album, to be titled “Year of the Pigbag”. The album will be released on Monday 25th March 2013 as both a physical CD and a digital download. See the Sugar Shack Records site for more details and a preview of one of the album tracks. Roger Freeman has kindly sent me a link to a webpage detailing Pigbag’s 1983 appearance on the German TV show “Rockpalast”. The page says the show was filmed at the Markthalle in Hamburg on 19th February 1983, which would have meant a short jaunt to Germany while the band were touring the UK. The web page has a number of small still images taken form the TV show, a few of which I’ve included here. There’s also a setlist and a line-up. The page is at http://rockpalastarchiv.de/concert/pigbag.html and it’s part of a site listing all the bands who appeared on the TV show. Roger has also sent me a link to a scan of a ticket for the RockPalast gig.